So from looking at the wonky exp wheels, I came up with an idea. So anyway, jokes aside, I think a 360° wheel should be added. A bit like a grippy ball. The rubber ball sits in a tight circle with an axis going through the middle of the ball. The tight circle should connect to the surrounding parts with its own axle, 90° rotated to the first so the wheel can turn 360°. This would be interesting because, as well as being practical, it would provide a good support for hovercraft. As well as this addition, Translation should be added too. seriously tho, you need a totally flat area to use those... hills/inclines would be problematic. I figure, given that they only roll, they could just roll forwards and backwards, and have an invisible wheel with like a 90 degree turning angle, that actually does the work! no sense trying to animate/physics it! But not for GeoCorp. These sorts of wheels don't seem very heavy duty to me. They look more futuristic. Maybe you're right... I want to get them in sooner though. Maybe I'll leave them for later on. I originally assumed they were independently powered, but they're not. What's weird, is there's no super tech in these things, just rollers and bearings. These could have been invented in WW1, rather than in the 70's. Video #2 is exactly what i'm suggesting! I think the 'mecanum' wheels would be best suited in reticule research, as they look kinda weird, and someone who hasn't looked it up probably would never know how they work. 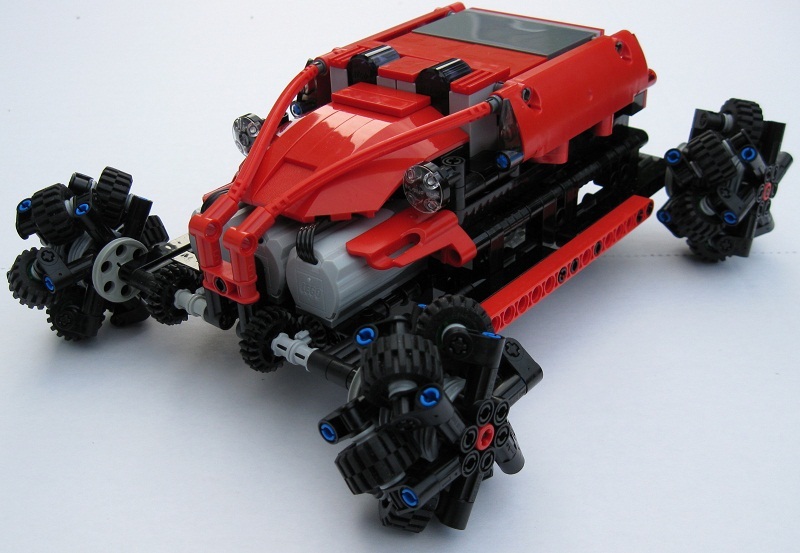 Also, the mecanum wheels can go sideways (that's basically why they're so awesome), though it They can go sideways, but they can also turn. How could anyone possibly control that with a keyboard? The same goes for the ball-joints. How would you control it? Would it even have motors? Why am I spending three and a half hours on figuring this out? What am I doing with my life? I'm thinking the same thing. They are a cool idea and all, but they would need a completely redone control system to work. Though, new keybinds is something that the game could use anyway, so I don't think it is a big deal. However, I wonder how this would work when considering that they could potentially be mixed with regular wheels and stuff. Rotate camera angle = rotate Tech along with it. This would get in the way with building though. What if you press a certain keybind and your Tech (with Mecanum wheels of course) will then rotate to match your camera angle? I don't know, it would still be quite messy. 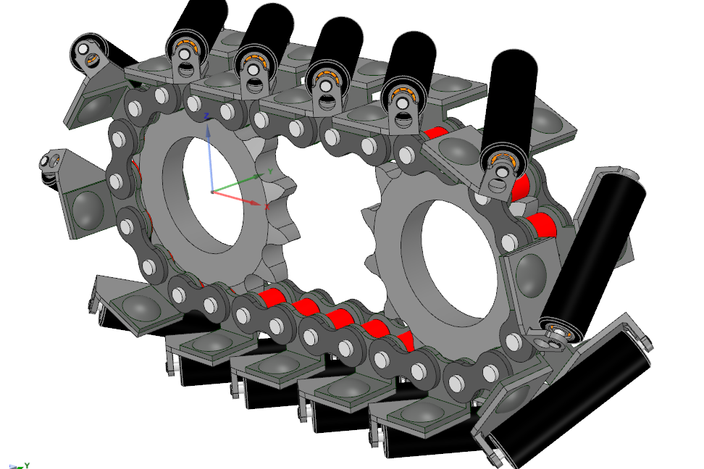 Mechanum wheels can be easily simulated, and controlled, without changing anything. All you do is have 2 parts. 1: a cool, shiny mechanum-looking wheel, that rolls forwards and backwards, and nothing else. it does nothing except window-dressing, and collision. 2: an invisible wheel, that has a really huge turning angle, like 90 degrees. this wheel handles the driving. No special controls, just a wheel with awesome manoeuverability, no side slipping. later on, a 'strafe' key could be added, allowing all wheels to turn the same way, allowing wheels to side-slip. These mechanum wheels, and otherwise.